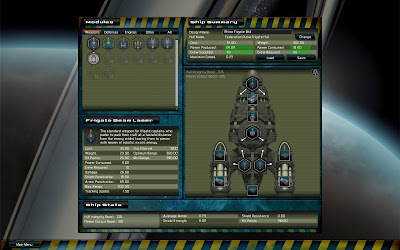 I actually dabbled a bit with this game initially and while I liked the idea that you got to design your own ships and then fight with them, I didn't think the scope of the game was enough when compared to the likes of say, Master of Orion, where you also got to do the empire building part. I was also ambivalent about not being able to control your units during combat. On one hand, this is realistic if you’re a ship designer. It’s the place of the admirals and their officers to conduct warfare after all. You’re just a helpless observer to the carnage. On the other, it could potentially mean the game is not fun. Thanks to the addition of Steam Trading Cards to this game though, I decided "what the heck" I’ll give this game another shot. Maybe I was too harsh with my early and short assessment of the game? There are some background stories related to each of the type of fleets you can design but that’s about it. The gameplay seems pretty basic: design ships, fight battles with the ships, gain honour for winning and then use that honour to unlock more weapons and ships. Repeat. However due to the huge number of combinations of weapons, armour, shields, gadgets, ship hulls and tactics – the game is far from simple for your average player. Unfortunately, as much as I respect Cliffski, I simply just don’t find the game fun. 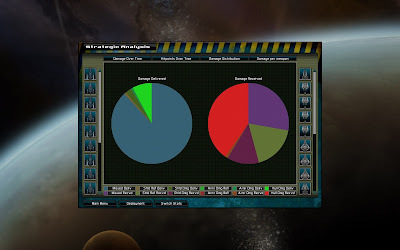 While there is feedback in the form of pie charts to show how effectively (or ineffectively) your fleet fought, it’s not very intuitive. Since the battle is in real-time too, unlike the Master of Orion games where it’s turn-based, you aren't given enough opportunities to digest how effective certain designs are. So the game pretty much becomes an exercise in trial and error until you discover a good combo. Mmmmm pie... wait this is meant to help me win battles? Sound effects are fine; they consist of the typical sound of lasers firing and ships exploding. The game contains appropriately epic space opera battle music. Graphics aren't 3D but you don't really need them to be and the high-res 2D graphics serves the game well. Explosions and damage taken from hits have great animations. The only thing that would tempt me to play the game again is multiplayer with friends. The game doesn't really have a storyline campaign per se – just a series of battles to fight. The UI isn't too bad. It has tooltips on mostly everything although it is an old-school interface of sorts, i.e. stats are readily available which is good but it’d be nice if there was a more intuitive way or even simple tips to show the pros and cons of each weapon, i.e. which situations you would use them and which ones you wouldn't. While initially a game that takes the best parts of the Master of Orion series, namely the ship design and combat sequences, sounds like a great idea on paper, it’s a tricky thing to implement well. 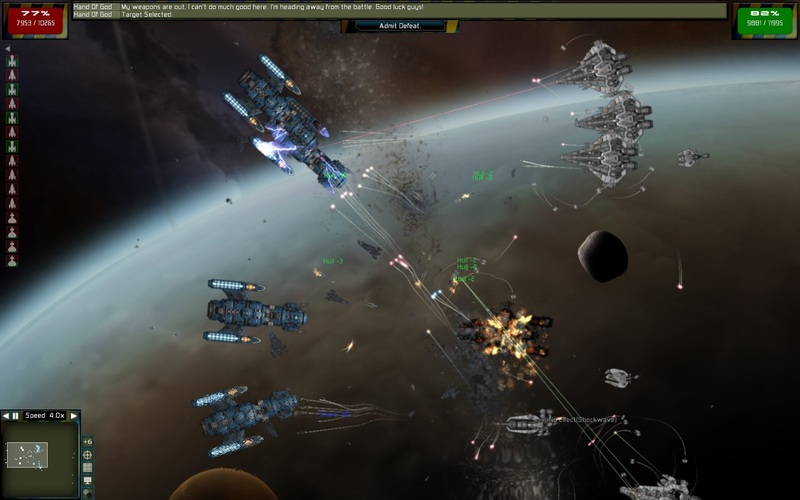 Gratuitous Space Battles does the ship designing component admirably and while I can understand and appreciate the player not being able to micro-manage the battle (you are a ship designer after all) the game is unfortunately less fun. This is exacerbated by the fact that when losing a battle it’s not terribly clear why, even with pie charts staring at you in the face.